Pack Expo didn't seem to suffer any as a solo show for the first time in 14 years. The huge packaging show took up three of Chicago's McCormick Place's four halls, just over a million square feet of space and drew an estimated 44,294 visitors in its four-day Chicago run that began Oct. 31. Both attendees and exhibiting companies were up slightly over the previous (2008) Chicago Pack Expo, which included Process Expo. While Pack Expo remains paired with the Converting & Package Printing Expo, this was the first show in years without Process Expo, which paired itself with the Institute of Food Technologists' show this year and will be going it alone next year. 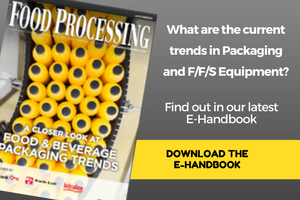 Pack Expo did maintain a "processing zone," where processing equipment vendors were centered. And the Grocery Manufacturers Association staged a concurrent Manufacturing Excellence Conference, focusing on operational reliability, product safety and sustainability. The Showcase of Packaging Innovations, sponsored by Dow Chemical Co., displayed award-winning packages from 19 organizations from around the world. Project 2020: The Consumer Experience, sponsored by DuPont, explored packaging developments and concepts likely to occur over the next 10 years. National Confectioners Association sponsored Confectionery Pavilion, which was a hub for confectionery-related suppliers. The Reusable Packaging Association also sponsored a pavilion and hosted educational sessions and workshops. Pack Expo returns to Las Vegas next fall, Sept. 26-28, 2011, at the Las Vegas Convention Center. A-B-C Packaging Machine Corp. debuted its Model 70 partition opener/inserter. It's a dual servo-powered partition handling device that requires no tools for changeovers. The twin servos drive the partition indexing/opening and inserting, blending these two independent steps into one harmonious action that ensures gentle handling for smooth opening, precise placement and efficient case packing. Lateral stabilizers square the partition after opening to "lock" the partition's interlocking panels and ensure smooth insertion into the waiting case or tray. Changeover time is reduced up to 70 percent, largely due to a design that requires no tools or change parts for a complete range of partitions. The new CEIA THS 21e metal detector from Heat and Control (pictured right) was designed to conform to traceable event recording guidelines under FDA Title 21. It continuously tests and calibrates itself to maintain peak inspection performance. Single- and three-frequency models feature a new electronic platform for stability. A stainless steel casing and keyboard and conformal coated circuit boards allow for IP65K washdowns. One-button sensitivity preview provides an estimate of the size and contaminant material that the metal detector will be expected to identify. Easy-to-use Auto-Learn system accurately scans products in one pass, reducing set-up time and inspection errors. Key Technology and Abco Industries announced an alliance that makes Key the sales representative for Abco food machinery in the U.S. and some of Canada, while Abco will take over manufacture of Key's Turbo-Flo Steam Blancher. The Key machine blanches and cooks potatoes, vegetables and fruits with lower energy requirements. Key also launched a new business, Integrated Solutions Group, to offer its engineering and project management experience and to embrace third-party equipment. Reiser (www.reiser.com) featured live demos of its packaging equipment, including its Repak Horizontal Form/Fill/Sealers used for meats, dairy, fish, fresh-cut produce and convenience foods. Repak RE20 is a cost-effective solution for cook-in applications. Unlike vacuum packaging, which requires costly cook-in bags, it uses significantly less expensive rollstock film. Repak uses the rapid air-forming method, which maximizes the distribution of film into critical areas such as corners. This allows package engineers to choose thinner forming films with potential cost savings of up to 20 percent. There was also a demonstration of the Ross S45 Traysealer for Vacuum Skin Packaging for customers looking for a VSP packaging solution without the high cost of purchasing other equipment. Sealed Air's Cryovac division (pictured right) introduced trap-printed film, providing processors, retailers and foodservice operators an opportunity for enhanced merchandising and branding. It's for high-speed liquid packages, 3-24 oz., running on Onpack vertical form-fill-seal systems. Multi-layer coextruded films have been laminated with print between the layers, allowing the outer film to be in direct contact with food, such as those used in meal kits or paired with raw meats. Ron Cotterman, executive director of sustainability, was on hand to explain the SmartLife sustainability program, an initiative to raise awareness about how packaging can advance a company's sustainability mission. Starting with Sealed Air's own manufacturing processes and walking customers through material selection, optimizing material use, performance and end-of-product life issues, Sealed Air can help customers improve their sustainability. Dorner Manufacturing (pictured right) introduced its 3200 Series iDrive belt conveyor, which integrates the motor, gearbox and motor controller within the frame of the conveyor. This space-saving design allows the conveyor to fit into the tightest of spaces. Seen as the big brother to the 2200 Series iDrive, the 3200 Series iDrive conveyor is designed for more heavy-duty industrial and packaging applications. Its robust frame and motor can carry more weight, operate at faster speeds, is available in larger sizes, and comes with indexing capabilities to handle more sophisticated conveying applications. It comes with three control options, side controls that allow operators to adjust speed and direction with ease and an internal brushless DC motor. Bunting Magnetics Co. (pictured left) showed a Center-Flow Magnet (metal remover) with a design that reduces the pressure drop - which negatively affects the performance of a production facility -- through the housing and allows it to be cleaned in seconds. The design maintains a 15-psi rating for all types of dilute-phase pneumatic or gravity-flow conveying lines. It also features a one-piece gasket that improves sealing along the production line, which eliminates leaking. It removes ferrous fines as well as larger pieces of tramp iron from dry particulates. The poles are tapered to provide a static recess area where small metal fines can collect and hide out of the air stream to avoid wipe-off. The trailing end of the magnetic cartridge is an active pole, and any tramp metal that might be swept down will be collected on the "protected" end of the magnetic cartridge. Attendees were talking about the Zip360, a flexible pouch with a zipper-like closure that really did go 360 degrees, from Zip-Pak. Developed in conjunction with Triangle Package Machinery Co. and Printpack Inc., the wide-mouth opening allows consumers of snack mixes, frozen chicken, cookies and crackers and pet food and treats to easily access and scoop out the contents. With its pour-spout functionality, it is also ideal for cereal, frozen food and vegetables. It's resealable, has plenty of front display and reduces the amount of materials needed to manufacture a package. Zip-Pak commissioned a life cycle analysis, conducted by independent research firm Franklin Associates Inc., comparing 20-oz bag-in-box formats to 21-oz resealable flexible pouches. The study confirmed resealable flexible packages offer superior product-to-package ratio, lower energy footprint, lower solid waste footprint and lower greenhouse gas emissions throughout their life-cycle. Other news is Plumrose is the first manufacturer to incorporate Zip-Pak's Zip-Pak Slider Advantage package for its 24-oz Hearty Country Style Thick-Sliced Bacon. The ergonomically designed Slider Advantage requires less plastic to manufacture, both the clip and profile, which enables Plumrose to provide an easy-to-open closure and simultaneously improves the company's eco-profile. Ideal for sliced deli meats, cheese, snacks and dry goods, frozen foods and pet treats, the new slider can be applied to pre-made pouches and form/fill/seal applications. The solution can also run on virtually all packaging formats and machinery configurations, eliminating the need to invest in new packaging lines. Kliklok-Woodman debuted the Woodman P3c constant-motion bagmaker. Featuring the "flex-mount" welded tubular steel frame with a center-balanced profile, it allows weighers and volumetric fillers to be direct-mounted to the machine and provides a cost-effective alternative to additional floor-mounted support. It produces 120 bags per minute, and improved bag registration that hits the "sweet spot" for snack food packaging. Due to the ability to switch between constant and intermittent motion, it has wide bag format flexability (pillow, flat/block bottom, gusseted, stand-up pouch, perforated string, promo strip, notching, hole punching and others). And its programmable product stripping reduces bag waste by eliminating product in the seal. Rockwell Automation offered the Allen-Bradley Kinetix 6500 multi-axis servo drive, which leverages the proven performance of the Kinetix 6000 family and is the first high-performance, modular servo drive to leverage embedded EtherNet/IP technology for integrated motion control. It also offers advanced safety features, such as safe stop, zero speed monitoring, safe direction monitoring and safe maximum acceleration monitoring. Piab launched its new piGRIP suction cup, which claims to be the first modular suction cup on the market. It allows companies to choose the ideal combination of lip and bellow so packaging lines can handle products at high speeds while realizing energy savings. With a range of independent lips, bellows and fittings, the suction cup can be customized for thousands of applications for full operational flexibility and tailored to individual gripping, lifting and height requirements to handle a variety of products. It can fit a number of packaging machines, including robotic arms, rotary cartoners, labeling machines and carton erectors. Accraply Inc., a Barry-Wehmiller company, debuted Trine Model 4800, a roll-fed wraparound labeler geared toward the beverage, dairy and nutritional product industries. It has a Siemens 10-in. color touchscreen interface, a dual label roll automatic splice unit for unattended label splice without stopping the labeler, a discharge bottle stabilizer unit for bottle discharge directly onto the conveyor, a segmented vacuum drum assembly for long life wear part integration, a newly designed feed screw infeed assembly for fast no tools changeover, and a stainless steel guarding system for beverage, food and dairy packaging lines. DayGlo Color Corp., a subsidiary of RPM Inc., debuted its GloPrill and color technology. The new colors can be used in packaging without a functional barrier – meeting FDA standards that prevent harmful components from migrating to the food products. They're the first and only fluorescent pigments that are FDA-compliant for direct food contact for use in HDPE and PP food and beverage packaging. Suitable for any room temperature or below packaging application, they are approved for heat pasteurization and microwave applications. Colors include sapphire blue, ruby red, citrine yellow and emerald green, with additional shades in development. 3M Industrial Adhesives & Tapes (pictured right) introduced Scotch brand Easy Open Carry Handle Tape 8643 – an integrated carry handle that functions as part of the shrink film package. The new tape, which was a finalist in the InterBev Innovation Awards, is applied and integrated into the multipack package by the beverage manufacturer. It can be applied using Straub Design Co.'s integrated tape handle machine, which is attached to an existing shrink wrap tunnel. Siemens introduced the Simatic CPU 317TF-2DP controller, which combines motion control, safety and standard tasks in a single device, reducing wiring, coding and the implementation times. It also benefits users by saving space on the plant floor and reducing overall total cost of ownership. Possible applications for the new device range from controlled single-axis positioning to complex, synchronized sequences of motion, such as geared synchronous motion, curve synchronization or print mark correction. The synchronous axes can be coupled to a virtual master or a real master. For safety-oriented applications, the controller fulfills the rigorous requirements of all the relevant standards, including EN 954-1 up to Cat. 4, IEC 62061 up to SIL 3 and EN ISO 13849-1 up to PL e. For Siemens PLC users, the Step 7 option package S7-Technology is available to simplify engineering and commissioning. It supports simultaneous processing of up to 64 technology objects, and is available to meet engineering requirements for programming and commissioning of all functions. For specific fail-safe applications, the Step 7 option package Distributed Safety offers a set of pre-configured library blocks, including emergency stop, two-hand control, muting and door monitoring. No external safety hardware is required for costly safety precautions at the machine, saving valuable space in the control cabinet. Centralized and distributed fail-safe I/O and fail-safe drives according to PROFIsafe, the fail-safe communication standard, can be connected. The drive safety functions SBC, SLS, SSM, SOS, SS1, SS2 and STO.